Sandalwood Nut Oil (Australia) - Ultra International B.V.Ultra International B.V. 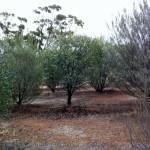 Derived from the sandalwood tree, Santalum spicatum (West Australian Sandalwood) this new oil is causing quiet a stir! 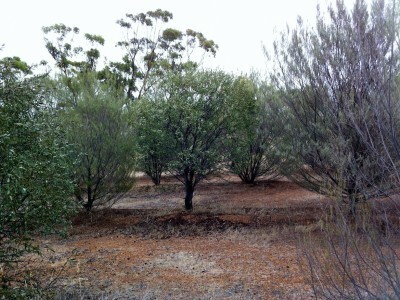 Historically the sandalwood trees have been harvested for their wood value but now the tree nuts have delivered us with an interesting new oil, 'Sandalwood Nut Oil' and with tens of thousands of hectares of plantations already starting to mature, sustainability is no longer a concern. Sandalwood nut oil is different from its wood oil. Unlike the latter, which is a terminal harvest product, the former can be harvested from its nuts throughout the tree’s lifetime, starting at around 5 years of age. Its composition is also different primarily due to the presence of a unique component – the ximenynic acid (XA) at high concentration. The story of aboriginal Australians using sandalwood nuts dates back over 40,000 years, long before that of the more commonly known essential oil. It is thought to have been used internally and externally for skin irritations and sores. Today there are a number of clinical studies available, with many more in progress, to prove the value of the nuts’ main component, ximenynic acid (trans-11-octadecen-9-ynoic acid), especially as an active ingredient to combat the skin ageing process. These have been picked up by a number of leading cosmetic companies who see this active ingredient as a natural and powerful component in future products. It is thought that ximenynic acid protects the lines of the skin and improves blood circulation. It also strengthens and tightens the skin by reducing the degradation of hyaluronic acid and collagen, leading to a better complexion. Sandalwood Nut Oil is carefully extracted by using a CO2 process.